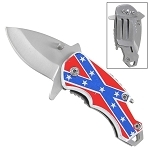 5" Closed with 4 1/2" Stainless Steel Blade. 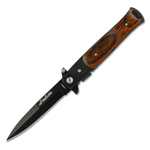 Featuring Black Blade with Black and red Pakka Wood Handle. 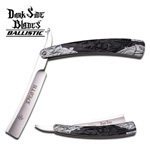 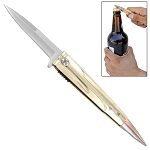 Featuring stainless steel Razor Blade with Aluminum handle. 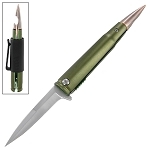 4 Inch Overall closed includes pocket clip. 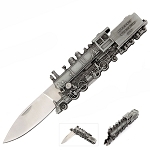 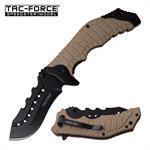 Dragon Spring Assisted Dual Blade Folding Pocket Knife Tactical. 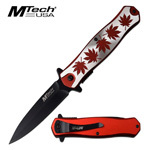 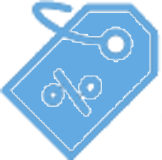 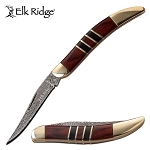 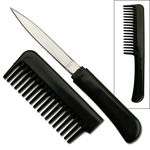 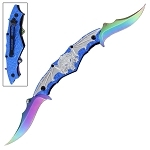 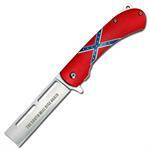 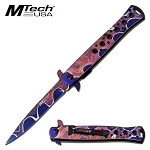  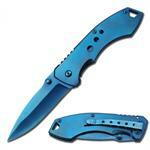 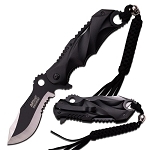 Overall length: 12 Inches, Blade Lengths: 3.25 Inches, Handle Length: 5.50 Inches. 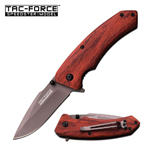 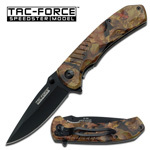 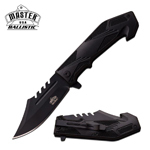 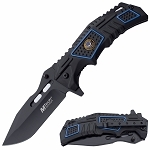 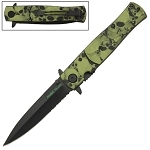 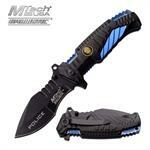 4.75" Overall with 3.7" Blade Military Black Tactical Spring Assist Folding Knife. 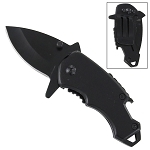 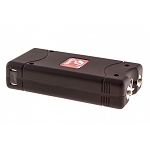 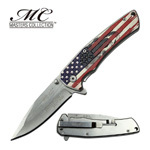 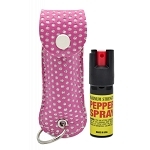 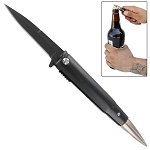 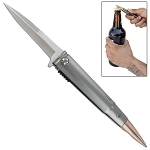 Black tip-down carry stainless steel pocket clip.